Offering your customers a variety of payment options is a great strategy to increase your sales and enhance your marketing potential. Needless to say, if buyers have other options to buy your products or avail of your services other than paying in cash, they will be most likely to make the purchase. For this reason, many business owners want to accept credit card payments from customers. By doing so, consumers who own credit cards will have the opportunity to purchase their product or avail of their services at any time. But what about debit cardholders? Most people own a checking account which is linked to a debit card. 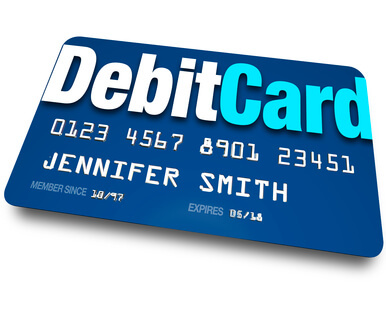 Debit cards are somewhat different from credit cards because its holders are not provided with a credit line. A debit cardholder can charge expenses to his/her debit card as long as there is available cash deposited in the account. Once a purchase has been charged to the debit card, it will be automatically paid using the existing funds in the cardholder’s debit account. Hence, there is no need to wait for the cardholder to submit payment at a later time. The first step to accept debit card payment and credit card payment is to apply for a merchant account. You can apply for a merchant account from a bank, credit card company or Independent Sales Organizations that offer credit card merchant processing services. There are three ways to accept debit card payments. First is directly from customers who personally purchase from your shop. These customers must present their debit card so it can be swiped to a credit card processing terminal. Usually, the same terminal is used to swipe both debit and credit cards. Another way is by entering the debit card information into the terminal without swiping the actual debit card. These are for customers who place their order through mail, email or telephone. Lastly, a merchant can also accept debit card payment from the internet. This is made possible by using an online payment gateway and a shopping cart software. The fees for these three types of transactions will often vary, depending on the type of processing involved. Generally, the processing fees for online transactions are higher than the fees for retail transactions. This is because errors are more likely to occur when the debit or credit card details are manually entered than when the actual card is swiped into the terminal. There are various types of debit cards used by consumers. When applying for a merchant account, you should get to know the specific types of debit cards which you can swipe into your terminal or which ones you can accept online. For instance, you may only be able to accept debit cards with either a VISA or MasterCard logo. Remember that your chosen payment gateway system will not be able to accept all types of debit or credit cards.